Dr. Allen Schenck is a Rhode Island native who graduated from Rhode Island College in 1974. He moved to Iowa to seek his Doctorate of Dental Surgery and graduated from the University of Iowa College of Dentistry in 1981. 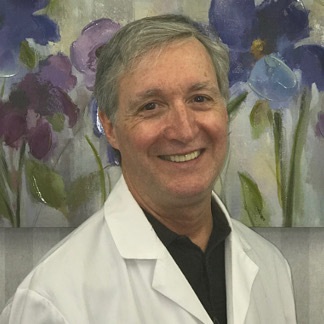 In addition to providing high-quality dental care to patients at his private practice in Harrisville, RI for 30 years, Dr. Schenck has been a clinical instructor and dental consultant for the Community College Rhode Island’s dental hygiene program for more than 25 years. There, he teaches other dental care providers how to provide excellent care to patients. Dr. Schenck is a member of the Delta Dental of Rhode Island credentialing committee and serves as a dental consultant for Delta Dental of Rhode Island. In addition, he is a member of the Rhode Island Dental Association, Greater Woonsocket District Dental Society, and the American Dental Association. Dr. Schenck and his wife LaVonne have a son and daughter. When he is not at work, he loves to go fishing. He is also active in Rhode Island’s Mission of Mercy, which is a free dental clinic held once a year for people who have difficulty accessing dental care. He has also participated in the Belize Mission Project for the past ten years, to deliver dental care among underserved populations in Belize.